Debuting with EP ‘Honest Words for Honest People’, Boston’s Old Fox is creating simple, honest and evocative music with the fullness of Americana / roots and the soul of rock. Honest Words for Honest People is not just the title of Old Fox’s debut EP; it’s the band’s foundation – their guiding principle. Founded in March 2018 by band members Alex and Ralph, Old Fox is a Somerville, Massachusetts-based indie rock band. In their own words, Old Fox is dedicated to “creating simple, vulnerable, and evocative music for anyone who decides to listen.” The band may be freshly formed, but their sound has the maturity and skill of its experienced, multi-talented musicians. 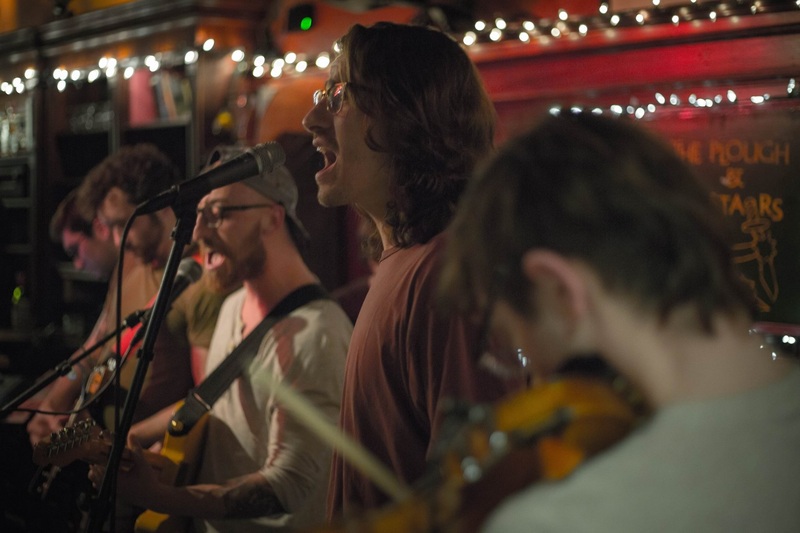 The band’s seven members – Alex, guitar and lead vocals; Ralph, trumpet and vocals; Jon, keys; Connor, guitar; Kevin, bass; Sean, percussion; and last but not least, Jody, fiddle – have been garnering attention around the greater Boston area playing at beloved local venues like Great Scott, The Middle East, and Atwood’s Tavern. They’ve already got quite a fanbase – their debut EP is so highly anticipated that the release show sold out within two hours of its announcement, forcing the band to add another date, which also promptly sold out. As you will discover in the track-by-track below, a number of weighty life lessons and experiences inspired the record’s five tracks. The pre-released single, “I Hope The Children Have Your Hairline,” is an upbeat head-bopper. With slick, yet still honest, lyrics, the track has the facade of a love song, but is at its core an anthem for the lover doing their very best— one who struggles to understand why they deserve love they receive. The first track on the EP, “Being Saved,” opens with organ synths and juxtaposes the lyrical theme of “growing up in the shadow of the Catholic Church” against power chord guitar lines and heavy percussion. “Limbs” features a fun trumpet counter-melody that playfully converses with the lead vocals. “Memphis” takes a laid back, softer percussive approach featuring different layers of tone and texture. Standing out among the other tracks, synthesized sounds accompany the grooving heartbeat of “Memphis”— the pulsing guitar line over the walking bass. “Queen of the Boulevard” features minute-long interlude with a trumpet solo. Honest Words for Honest People combines compelling and true-to-experience lyrics with a full force, jam-able indie rock sound making for an EP that instantaneously connects with its audience and resonates with them long afterwards. A band built on honest beginnings that plays for “anyone who decides to listen” instead of being concerned with everyone who should, Old Fox understands the value in staying true to an authentic sound— and clearly, how to make a damn good debut. 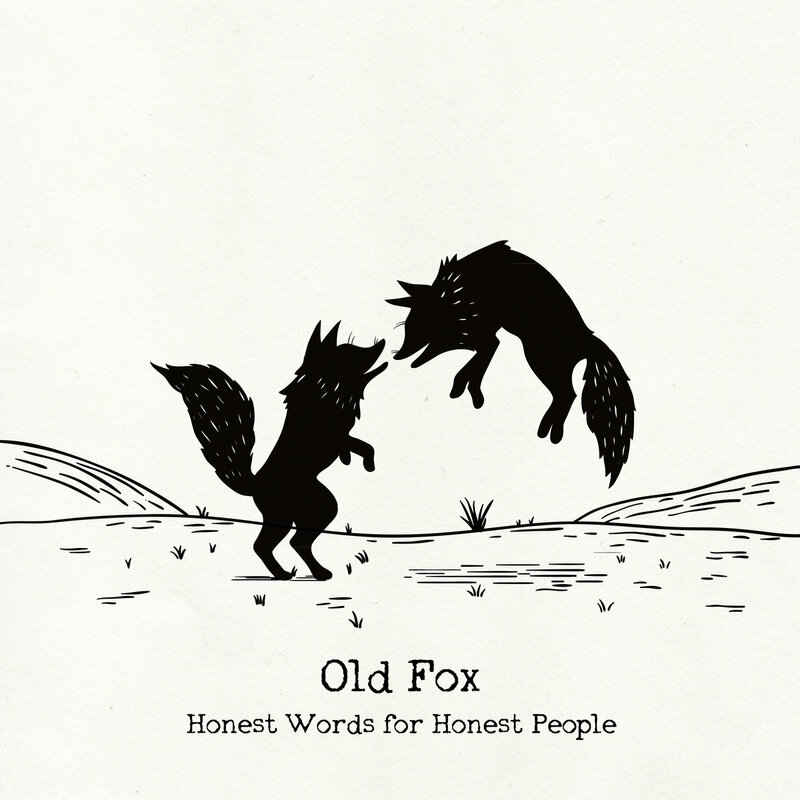 Experience the full record via our exclusive stream, and peek inside Old Fox’s Honest Words for Honest People EP with Atwood Magazine as the band provide their personal track-by-track take on the music and lyrics of their debut! Being Saved is about growing up in the shadow of the Catholic Church, and how damaging that could be for so many boys and girls. With ten Our Fathers and ten Hail Marys, one could simply pray away depression, anxiety, tumultuous hormones, and everything would get better. After long enough, one might gradually grow into the understanding that they were a burden, unfit and wrong. More than anything, it’s about forgiving the generations that came before us who didn’t know anything better than to prescribe the solutions they were offered. I Hope the Children Have Your Hairline is a love song. Masking depression, anxiety, and loss in dark metaphoric witticisms, humor, and upbeat melody, the song focuses on Alex’s battle with depression and how it can affect one’s ability to love and be loved. Limbs is an ode to an old friend who committed suicide in his early twenties. In his mid to late teens, this friend began using and distanced himself over the years. Alex writes about some of his fondest memories, the pain that came from the distance, and the anger that came from the institutionalized failure to care for young men and women with mental illness; pushing them to drug use and ultimately, suicide. Memphis is about being in a state of constant disrepair and unhappiness, the toll of unchecked depression and anxiety. Alex uses a random city and the thought of being far from where you ought to be, or where you’d like to be, to depict the fear of permanent unrest. The fact is, few people truly want to remain unhappy. Queen of the Boulevard is about ageing and losing control of the things you took for granted. The song is inspired by Alex’s memories of Ditmars Blvd. in Astoria, NY.